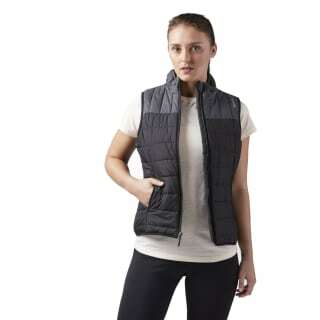 Stay warm and stylish with this cozy, quilted vest that keeps the elements at bay. 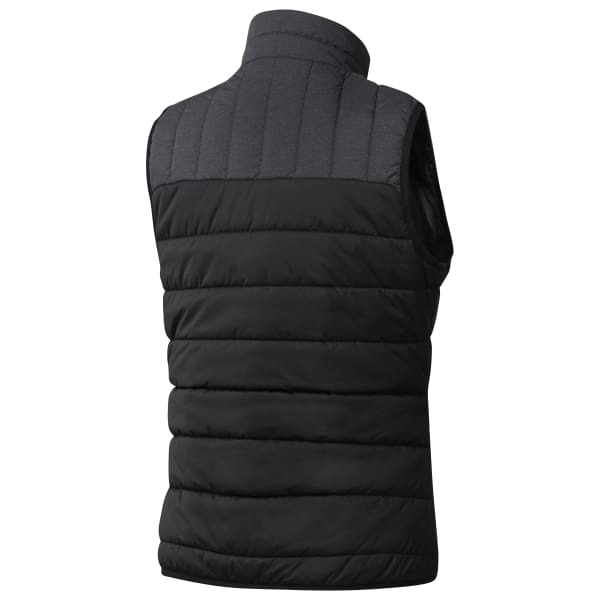 Durable Water Repellent fabric blocks out wet, while the high collar ensures you're comfortable and shielded from the wind. Reflective graphics increase your visibility in low light. Achieve the layered look with a long-sleeve shirt or sweater underneath.